A collaborative effort driven by researchers from Michigan State University, South Dakota State University, Iowa State University and North Dakota State University, aims to improve the age-old art of farming. Vast, dry, and flat. The Great Plains of the continental US stretch from the foot of the Rockies through to the grasslands by the Mississippi, as far north as Canada and as far south as Texas. Covering 1.3 million square kilometres (a size roughly equivalent to Peru), it is renowned for being an immense expanse of farms and paddocks, with a tree, a creek or a town thrown in for variety every so often. Hot summers and cold winters, gale-force winds and dust-storms. The hard climate can mask the vital importance of the Great Plains in the agricultural economy of the United States. From the earliest days of settlement, ranchers drove their herds across the plains towards food and water – a migration which opened up the land for later homesteaders and settlers. Today, almost 80% of the land is used for crops and pastures, while one in every five American cows can be found grazing in the Dakotas or Texas. Despite this, many challenges will be missed by tourists as they travel from north to south through rolling fields of corn, wheat and cattle. The region is sparsely settled, with large portions having population densities of less than 2 people per square kilometre. Population decline is exacerbated by growing migration of many towards the wetter coasts, and many thousands of abandoned homesteads can be found scattered throughout the Great Plains where settlers simply packed up and left. The most notorious of these migrations occurred in the 1930s, when excessive ploughing of the fields led to runaway erosion and brought ‘the Dust Bowl’ into the public consciousness. The Dust Bowl disasters were in part brought about by a failure in land use – the manner in which the area is managed for both human and environmental requirements. Although land use is a decision to be made by farmers and public authorities, there is rarely a simple answer as to how any one particular piece of property should be used. Instead, several competing priorities must be balanced, be they economic, social, political, or environmental. An example of this multi-faceted decisionmaking is the choice between grassland and cropland. Grassland is, as the name suggests, land that is predominantly covered with various grass species and is largely used for grazing cattle. Cropland, by contrast, is land that has been prepared and then used to grow crops, such as corn or wheat. Grassland and cropland have different advantages and disadvantages, and farmers need to decide which approach is best for their particular circumstances. In recent times, the appeal of cropland has significantly increased, supported by a variety of factors. Agricultural breeding and biotech developments are providing more droughttolerant and pest-resistant crop varieties than in times past. 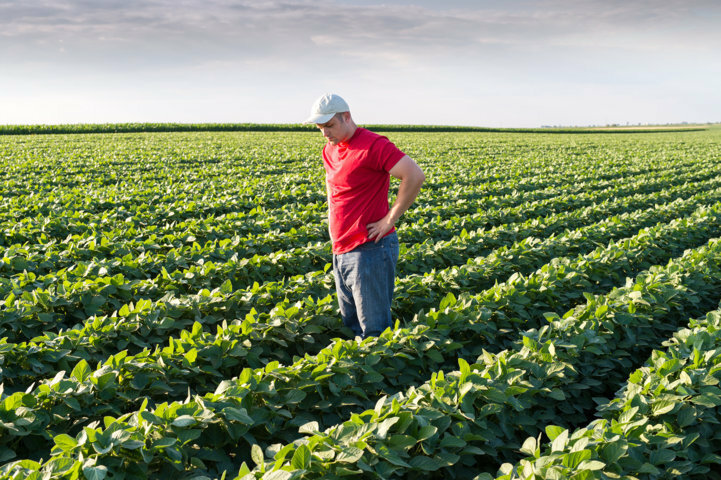 Crop profits have been well above average for much of the last decade, partly due to demand from emerging markets but also partly due to government subsidies such as crop insurance and renewable energy mandates. 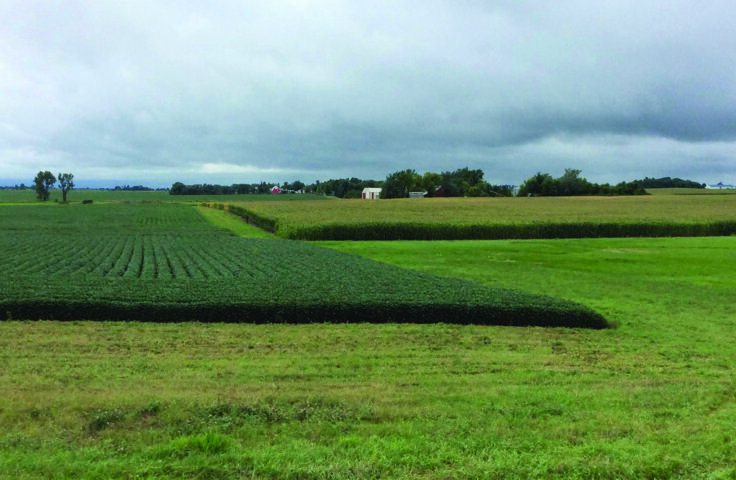 Farmers respond to these incentives by increasing crop production – the amount of North Dakota covered by corn, for example, has risen ten-fold to over two million acres in the last 50 years. These changes have implications beyond the farmers’ markets. Grassland ecosystems support many diverse bird and animal species, and changes toward crop rotations that emphasise corn and soybeans reduce the available habitat. Excessive conversion of grasslands to croplands can negatively affect the entire region and thus needs to be approached with care – where care requires that the reasons for these choices be thoroughly understood. 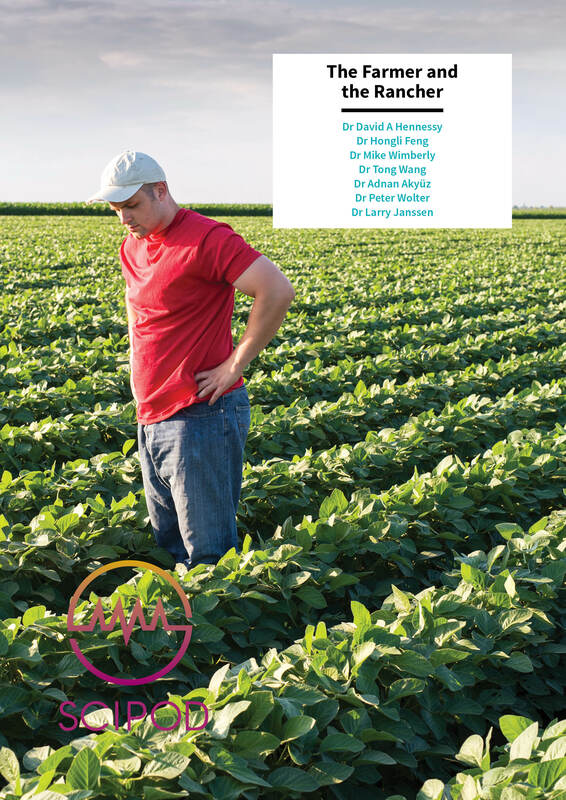 It is this knowledge gap that Dr David Hennessy and Dr Hongli Feng and their colleagues – including Dr Adnan Akyüz, Dr Larry Janssen, Dr Tong Wang, Dr Mike Wimberly and Dr Peter Wolter – wish to fill. 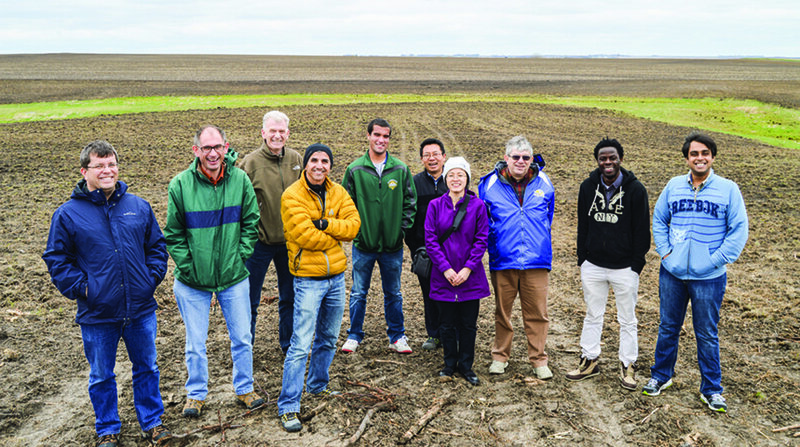 An interdisciplinary team drawn from several institutions across the United States, they aim to provide the scientific foundation upon which further decisions about land use and conversion can be made. A survey-based approach taken by the team has been very successful in gathering information on agricultural choices. Responses from farmers showed that almost 40% had created some form of grass-tocropland conversion on their land, with the area converted totalling over 5% of the land under ownership. The data showed that this conversion was most common amongst large farms, particularly when owned by younger farmers or those with higher agricultural income. Their conclusions, set out in a recent publication, noted that the current level of government conservation programs was not sufficient to maintain the existing grassland ecosystem. Difficult, yes, but certainly achievable. Previous work by the group has brought together data sources as disparate as temperature records, satellite images and county alfalfa harvests – using these in combination to help identify the manner in which farmers have shifted between different crop types in response to economic and climatic pressure. This work has led to publications and presentations, and has been particularly prized by farmers and others looking for support with their longterm planning decisions. Land-use decisions are not just a matter of economics, but also one of government policies. 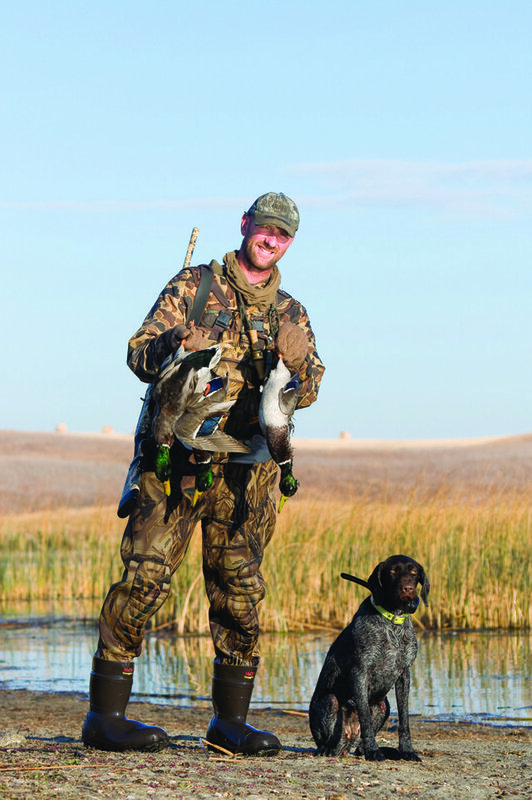 Large tracts of grassland in the Northern Great Plains are prized by conservationists and duck hunters because these lands provide the optimal mix of grass cover for duck nesting and wetlands for duck feeding. Duck hunters and others pay annual ‘duck stamp’ fees to the US federal government, who use the money to buy grassland easements – a legal agreement entered into by the landowner and the government, in which the landowner is paid to permanently keep their field in a grassland state. In other words, the right to convert to cropland in the future is given away in exchange for a lump sum payment. This is an advantage for farmers who need to maintain a viable operation and would prefer to stay in grass-based agriculture (as it adds an extra bit of cash) but represents a difficult decision for others – is the money worth losing the chance to change at a later stage? The difficulty of this discussion is not helped by steady improvements in crop yields and input-saving technologies, which make thoughts of cropland conversion yet more tempting. This in turn means that the government must offer greater sums of money before farmers will accept a grassland easement, which creates problems for alreadystretched budgets. Yet governmental budgets are complex creations, with constraints both on the amount of money that can be spent and the timing – for example, can leftover cash to buy easements be saved for next year or must it all be spent this year? These constraints make the government’s already involved decision on easement payments even more complex. To help with sorting through alternative strategies for conserving grassland, the group has developed models of the decision-making process. By modelling the choices available to the farmers themselves, they can identify the ideal option for the farmer under several different circumstances. In combination with a model of the differing budget approaches, this can then be used by government agencies to identify their ‘best value’ investments. In other words, where the government can use their minimal budget to maximise the uptake of grassland easements. The quality of the grasslands is also dependent on the manner in which they are used for cattle grazing. Many cattle grazing operations practice continuous grazing, whereby livestock are left to graze over one large area for much of the season. The approach needs low investment in fencing and the provision of water. However, poorer pastures often result – the animals will eat more of the plants they like and leave the weeds to grow unchecked, the manure will be concentrated in patches rather than spread widely, and certain areas will bear the majority of hoof-based erosion. To combat this, a more labour-intensive method known as Management Intensive Grazing (MIG) is used. The available land is divided up into a large number of paddocks, and livestock are moved between each paddock every couple of days, with a correspondingly long recovery time for all other paddocks. Cattle can be picky eaters, and if they pass over some grass today it will be less tempting tomorrow and succulent new leaves won’t have the opportunity to emerge. By ensuring that cattle eat even the non-tasty plants, and then providing paddocks with a chance to recover from grazing, MIG is able to improve stock yields and reduce weed levels. Despite this potential, the uptake of MIG in the United States has been limited. Why is this the case? Farmers make decisions on land use based on a number of different factors, with a major goal being to (sustainably) maximise the money they can make from their land. Although MIG appears to have benefits, there is a corresponding need for additional work and investment – both factors that may put farmers off. To provide much-needed data on the effect of MIG, Drs Feng, Wang, Hennessy and collaborators have begun a new research project covering the impact and uptake of MIG, with five main goals. The first is to determine the short and long-term economic impact of MIG. 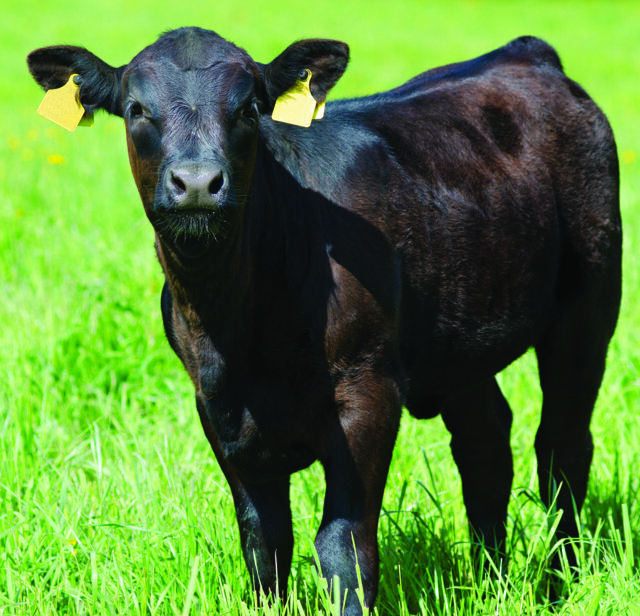 The second goal involves assessing the environmental impacts of using the grazing method. The third is to see if MIG is associated with reduced grassland-to-cropland conversion rates. Identifying the factors affecting MIG uptake is the fourth goal, and finally, the team wish to take all of the information gathered and use it to improve current government programs that aim to promote MIG. The ideal use of land in the Great Plains is dependent on a complex web of interlocking factors. Unravelling this web, through studies such as those done by Dr Hennessy and his colleagues, ensures that decisions are made on a solid scientific basis, considering every economic and ecological factor. Dr David Hennessy has long-standing interests in the fields of agriculture and economics. His particular focus is on the production economics of agriculture, together with its linkages to agricultural finance, technology adoption, food and food safety, and the environment. With a PhD from Iowa State University and a career spanning several institutions, he is currently a Professor and Elton R. Smith Chair in Food and Agricultural Policy at the Department of Agricultural, Food and Resource Economics, Michigan State University. Dr Mike Wimberly is a Professor of Natural Resource Management at South Dakota State University. His research examines the manner in which human health and economic choices interact with ecological changes within the landscape and climate. He has used his findings to help support public health and ecological needs – be it developing an early warning system for predicting malaria epidemics in the Ethiopian highlands, or creating spatial simulations to model interactions between land use, forest management, and wildfire. Dr Tong Wang is an Assistant Professor in the Economics Department of South Dakota State University. Involved in a variety of projects targeting agricultural conservation practices, she has examined fields as diverse as the motivation for grass-to-cropland conversion to the links between herd productivity and greenhouse gas emissions. Her latest work examines the way in which government policies affect participation rates in conservation and disease-control programs. Dr Adnan Akyüz splits his time between roles as the North Dakota State Climatologist and as a Professor of Climatological Practice at North Dakota State University. With a PhD in Atmospheric Science at the University of Missouri-Columbia and a distinguished career as Missouri State Climatologist and climate services specialist with the National Weather Service, he is a recognised expert in the field of climatology. His research covers the impact of climate change and drought on agricultural systems. Currently Assistant Professor at the Department of Natural Resource Ecology and Management at Iowa State University, Dr Peter Wolter began his career with a PhD in Forest Ecology. From here he has rapidly grown to become a highly successful and well-published researcher in the field. His work focuses on the use of satellite sensor data to uncover changes in forest and agricultural ecology, in particular as they relate to indicators of land-use changes. A Professor of Economics at South Dakota State University, Dr Larry Janssen has spent his research career examining the effect of financial and policy decisions on farmland production and economics. Having supervised a number of students and published more papers than can easily be counted, he is a highly respected member in the field of agricultural economics. This research was partially supported by North Central Climate Science Centers (NCCSC) and the National Climate Change and Wildlife Science Center (NCCWSC) of the U.S. Department of the Interior (DOI) under award #G15AP00086, and the National Institute of Food and Agriculture of the U.S. Department of Agriculture, under award number 201467003-21772.